Protect sensitive skin from premature ageing. Added youth enhancing plant stem cells and hyaluronic acid helps to brighten skin, even skin tone and reduce fine lines. 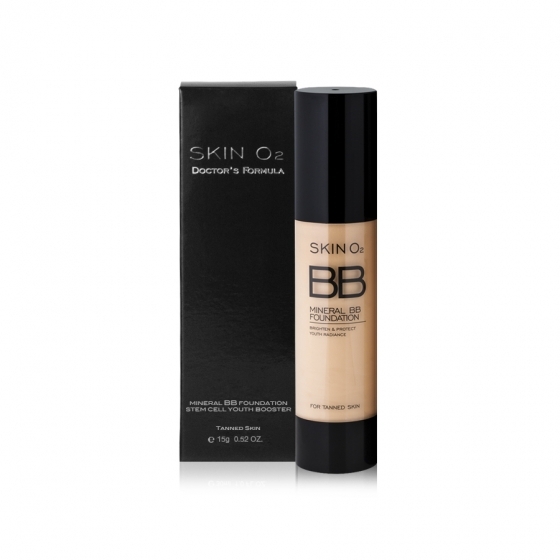 Provide full youthful coverage with natural radiance, UVA UVB sun protection SPF 15 with Titanium Dioxide ans Zinc Oxide.. Directions: Apply to clean, moisturised and primed skin. Finish with powder and spritz.